In 2007, Tim Armstrong was the head of Google’s North American ad sales, making him one of the company’s most important and powerful executives. He was also very interested in local content, and disappointed by the lack of information about his hometown, helped start Patch Media, a company dedicated to building a network of local news and information. After Armstrong became CEO of AOL in 2009, AOL purchased Patch and started funneling money into the network with plans to establish a footprint in hundreds of cities. 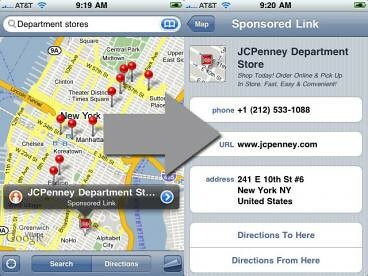 Facebook launches location-based Deals – will users actually redeem them? Google Places. That’s the new name of Google’s Local Business Center. The search giant has rolled out a host of new features for local advertisers, including a mobile dimension that could help push QR codes into the mainstream. Media moguls have been kicking up quite a storm about charging for content over the past few months. But a more subtle shift is the one towards local content online. And according to digital media consulting firm BIA/Kelsey, another section of the local market — geo-targeted display ads — is expected to grow to 15% of the display market by 2013. That’s good news for those who are betting on local online. From NBC to News Corp. and The Huffington Post, publishers are rushing out local content sites that can capitalize on local ads. As consumers get more focused on reading and concentrating on local and hyperlocal events online, those moves could be well advised. But it remains to be seen who will come out on top in the local market. Can the Grey Lady sell display ads to hyperlocal businesses? Hard to argue with a $5 CPM for advertising on a New York Times property, even if the ad run on its portfolio of hyperlocal properties. But what do the butcher, baker or candlestick maker know from CPMs? The Times just announced on The Local, its clutch of microregional, citizen-journalism blogger sites, that it plans to make display advertising easy, self-service, and cheap. It’s inviting nieghborhood dry cleaners and hardware merchants to design, post, and allocate a capped budget to ad campaigns targeted to neighborhood audiences. Local online reviews site Yelp has come a long way in the United States, where it now competes head-on with IAC/InterActiveCorp’s Citysearch. Yelp launched in the UK earlier this year and recently rolled out functionality that gives business owners the opportunity to respond to reviewers. I spoke with Laura Nestler, Yelp’s London Community Manager, to find out more about Yelp’s efforts in the UK, how Yelp can be used by businesses and where Yelp is headed.